Caption: Leeds Art Gallery was a big hit with visitors. Leeds Museums and Galleries are once again proving to be a big hit with visitors, new figures have revealed. As part of a report recently published by VisitEngland which collated visitor numbers to attractions right across the UK in 2013, a number of Leeds Museums and Galleries sites feature in a top 20 list of the most visited free attractions in the Yorkshire & Humber. 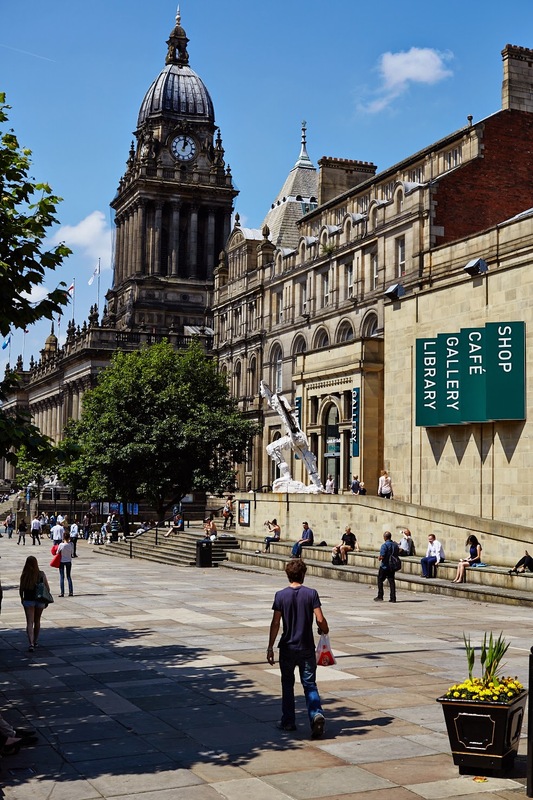 Leeds Art Gallery was ranked fourth in the table having attracted 453,088 visitors, while 321,529 people took in the delights of Leeds City Museum, which earning fifth place, saw a 19.8% increase on the previous year. Also performing well was Kirkstall Abbey in 10th place, which saw a significant 42.2% increase in visitor numbers, as 176, 284 people, enjoyed a range of events in the magical 12th century Cistercian ruins during 2013. In the Yorkshire & Humber’s 20 most popular paid attractions, Lotherton Hall and its gardens also claimed 15th spot in the list, as 109, 631 people made a trip to the historic home and estate. There is no better time to pay a visit to any of Leeds Museums and Galleries nine sites, all of which are now also the proud holders of the prestigious educational Sandford Award. "We are working extremely hard to find new and innovative ways to increase the visitor experience at Leeds Museums and Galleries, and I am delighted to see that a number of our sites are included in the VisitEngland 20 most visited attractions list in Yorkshire and the Humber. "All nine of our sites also now hold an educational Sandford Award, and a trip to any of our museums and galleries throughout the year, which host an array of events, activities and exhibitions, are always a fascinating and fun experience." “It really is fantastic that so many people are taking the opportunity to see us at Leeds Museums and Galleries and that an assortment of our sites feature very highly on a visitor numbers list compiled by VisitEngland. “This really is great news, and is I believe, testament to the dedication of our museums and galleries staff, who are always striving to improve what we have to offer at all of our sites. We will not however be resting on our laurels, and are continuing to look at ways in which to develop further our events and activities programme." Leeds Museums and Galleries is Leeds City Council’s family of nine museum sites across the city and is responsible for looking after the collections of fine and decorative art, fashion and textiles, industrial and social history, natural science and much more. In the financial year of 2013/14 Leeds Museums and Galleries saw total visitor figures of over 1.2 million across all sites, this was a 17% increase on the previous year and up from 390,995 visits across all sites ten years ago.